Ivan Herrada likely wouldn’t agree to the statement that he is MKE MY CITY. While he may curate the content posted to the Instagram account, the photos themselves are posted by creatives throughout the city using the hashtag #MKEMYCITY. The diversity of creators builds a feed both aesthetically appealing and captivatingly diverse. 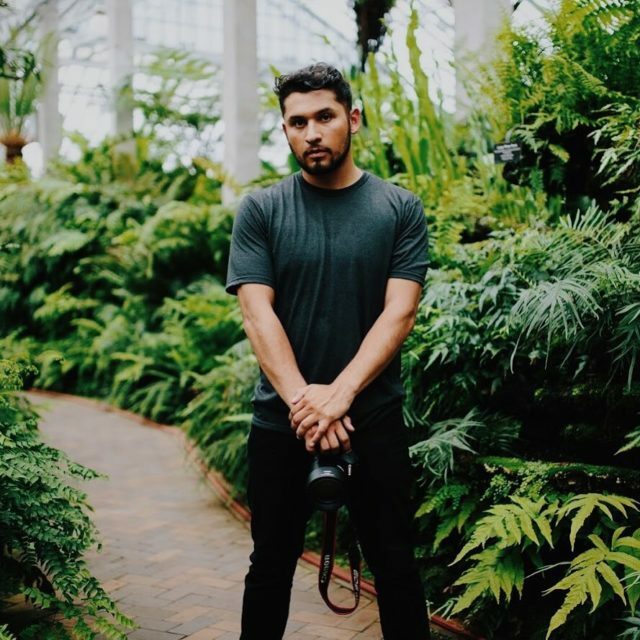 A short interview with Herrada reveals that the same unyielding enthusiasm for Milwaukee on the @mke_my_city Instagram also fuels several projects and businesses—like Herrada Photography and Cuatro Uno Cuatro. Through these outlets, he is leading a movement of people who want to redefine the identity of Milwaukee by sharing the many identities and creative visions of people in the city. Ivan Herrada is a 25-year-old Mexican immigrant, full-time union insulator, self-taught artist, entrepreneur, husband and proud Milwaukeean. Raised a “Southside boy” in a family of five, he learned to work hard for what he wanted for himself but also work hard for what he wanted for his community. At 17, he designed the MKE MY CITY logo for t-shirts as a way to display Milwaukee pride, but after selling a few hundred shirts online, the brand wasn’t successful. However, the same logo was reborn when the concept shifted from clothing to an Instagram hashtag and photo account. The new approach opened up the interpretation of Milwaukee from the graphic design of one teenager to the visions of hundreds. "I used to think of Milwaukee as any old boring city. Until I started to engage with all of the people who live here. These Milwaukeeans are like no other, each and every person has such a story and culture. I'm so glad I've become a part of the illgrammers community. And I'm proud to call MKE MY CITY" – @ltrific S/O to this girl. So much drive at such. Look out for #MKEMYCITY's young emerging artists. MKE MY CITY is doing this and also making it easy for other businesses to do it by connecting everyone with a hashtag that’s been used over 87.9K times: #MKEMYCITY. The MKE MY CITY feed is where creators meet digitally, and the Instameets are where they create together. Whether public or invite-only, the MKE MY CITY Instameets help people explore parts of Milwaukee many may have not seen before. As of March 2019, the account has over 10,000 followers and 542 posts. Each is from a different source with a different background, with a different Milwaukee experience they wish to share. Herrada hasn’t wasted time exploring Milwaukee and its entrepreneurship opportunities either. Besides MKE MY CITY, he also co-owns two businesses with his wife, Caitlin—Herrada Photography and Cuatro Uno Cuatro. In middle school, Caitlin’s family moved to Germantown, but she soon missed her more diverse and close-knit neighborhood in Milwaukee. She moved back as soon as she got the chance and now works full time as a social worker for youth of lower income in the Milwaukee area. She says that a concern for many of her clients is whether or not they want to attend college. To assuage this fear, she encourages her youth to develop different outlets of interest. She advocates for dividing time between different projects, and as long as you lead your life with passion, you can be successful. Ivan partners with Cailtin to teach teens about his work in a union trade and the resources available to enhance their job prospects, escape poverty and other ways to improve their futures. Through his various businesses, Ivan aims to spread awareness of opportunities many South Side families including his own may not have had in the past. 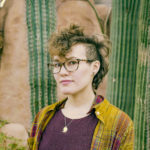 Caitlin extends her concern for people and their stories through Herrada Photography, which specializes in wedding, portrait and event photography. Continuing with the Milwaukee-centric mindset of their other businesses, Caitlin refers wedding clients to florists, restaurants and other local vendors who own their other business or that Cuatro Uno Cuatro has worked with in the past. Herrada Photography also does volunteer photography work. They’ve helped create photo galleries for kids in need of adoptive resources and they recently partnered with Coalition for Children, Youth and Families and took senior photos for a boy in foster care. [Cuatro Uno Cuatro] represents us. 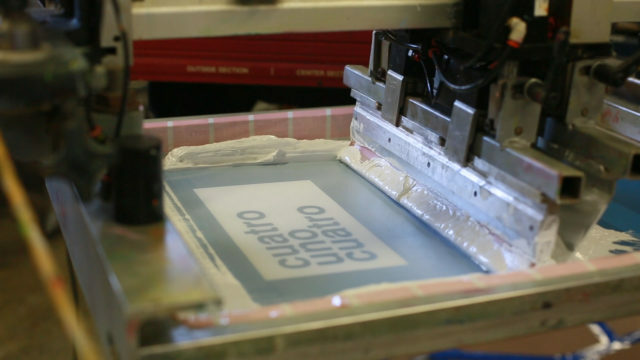 “Cuatro Uno Cuatro” is emblazoned across t-shirts, tank tops, long sleeve tees, sweatshirts and even onesies. But it’s more than a brand name and more than the Spanish-language equivalent of Milwaukee’s zip code. Cuatro Uno Cuatro launched publicly in Summer 2018 from a paletero cart on Wisconsin Avenue. Ivan says that one of the defining factors of his childhood on the South Side was the excitement of buying popsicles from the local paletero (ice cream man). After getting to know their local paletero, Ivan and Caitlin were referred to Paleteria La Michoacana to discuss their idea of using a paletero cart to sell their merchandise. The paletería loved their idea and gave them a cart, which they spray painted black and added their logo to. At the first Newaukee Night Market of 2018, Cuatro Uno Cuatro sold out of their inventory by the end of the night. Ivan asserts that Milwaukee is their permanent home. “We wanna make sure we’re part of the growth that’s happening, especially right now,” he says. The Herradas’ creative outlets reflect their dedication to the city as a whole, but more importantly, their dedication to enhancing the individuality that makes up Milwaukee. The MKE MY CITY Instagram is just a start.